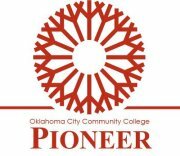 Does anyone read the Pioneer blogs? This question seems to haunt me with every keystroke I dedicate to a blog’s content. As far as I know, there isn’t a way to find out how many people, if any at all, have in fact read the blogs on the Pioneer website. Of course, there is the rating system and the option for readers to leave comments, but it doesn’t seem like anyone uses those features very often. Now, why should I care whether or not anyone reads these things? It’s not that I’m concerned about some blog-writing popularity contest. I would simply like to know whether or not the words I type each week are actually reaching an audience. So, if anyone happens to read one of the Pioneer blogs, take a second to give the rating scale at the top a click or even leave a comment. It would go a long way towards reassuring the writers that blogging is not just a complete waste of time. It also gives you, the reader, a chance to express your opinion as well.